When will he become playable? Update Jan. 25 10:50am CT: Sylas is now available in League of Legends. You can purchase him in the Store for 975 RP or 7,800 blue essence. Sylas, League of Legends’ newest champion, was set to be released with patch 9.2 this week. And although that patch is now live, League fans have been left wondering: Where is Sylas? Now that patch 9.2 is live, however, League fans are growing restless waiting for the game’s newest champion. The strange thing, though, is that Sylas is kinda a part of the game already. If you go to your Collection in the League client, you can see Sylas in between Swain and Syndra. 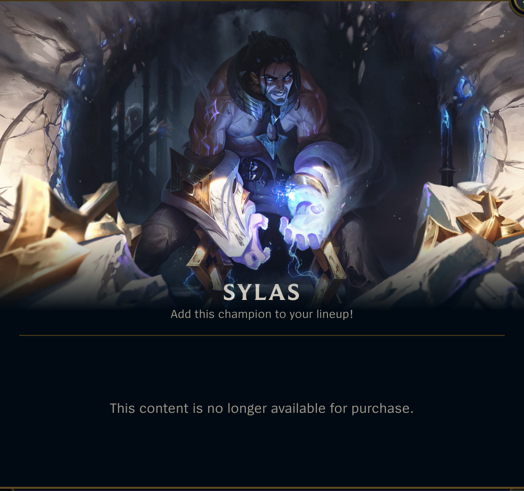 But when you click “unlock,” you’re greeted with a message that says “this content is no longer available for purchase”—which is strange because Sylas wasn’t available for purchase yet. You won’t have much luck finding Sylas in the game’s Store, either. 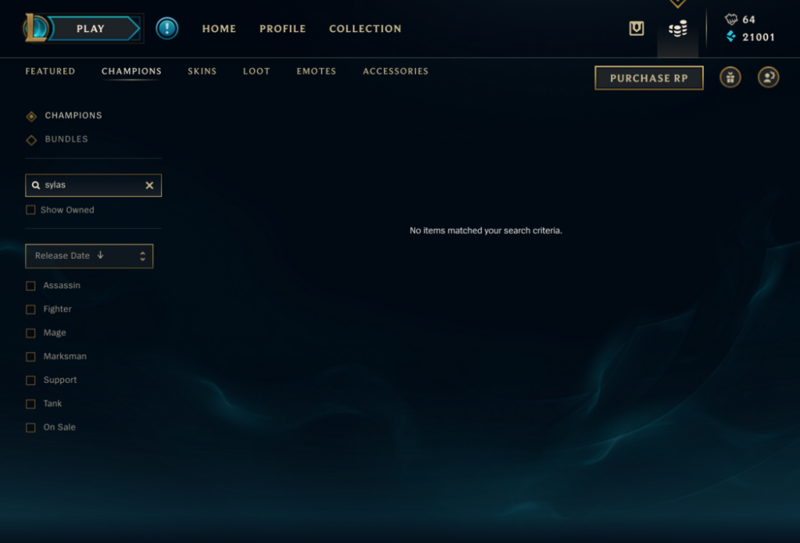 If you search for Sylas under Champions, a message that reads “no items matched your search criteria” will appear. 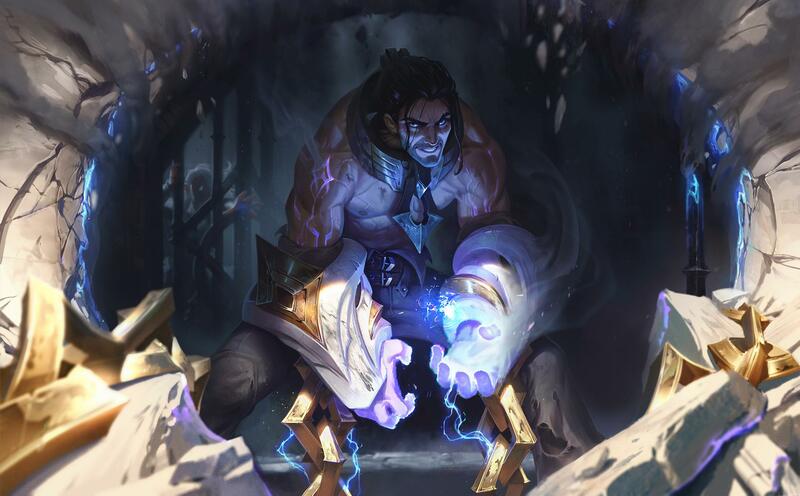 You might not be able to buy Sylas yet, but at least you can see him and look at his abilities and skins in the Collection tab. League fans are hopeful that Sylas will join the game soon. We’ll update this article if an official release date or time is revealed for Sylas.